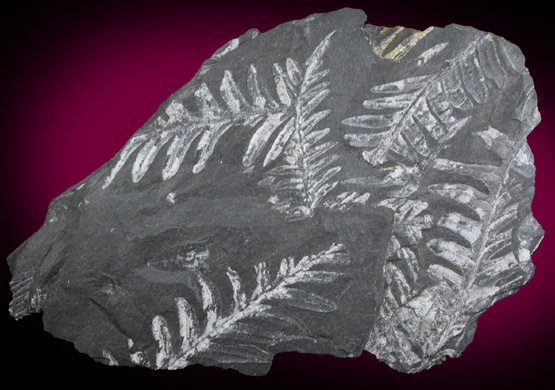 Description: Double-sided specimen of fossilized seed fern on slate. The fossil impressions are white and composed of pyrophyllite on a dark gray slate. 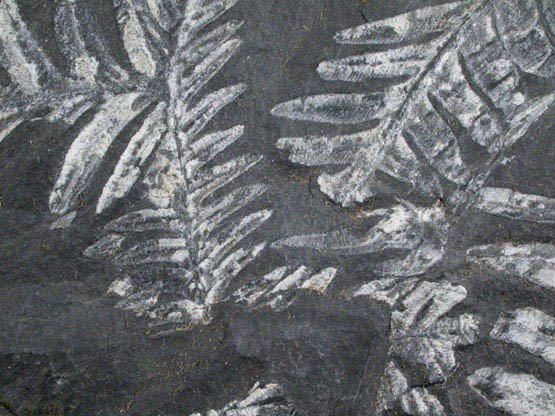 The rear has even more fern impressions than the front, but the front impressions are nicely separated.